I keep a supply of mini ham, egg and cheese muffins in the freezer for when Bradley wants a warm meal for breakfast, but we're in a hurry. He loves eggs so this is a perfect go-to. Chris and I love our eggs as well, but don't normally find the time during the week to make them for ourselves. 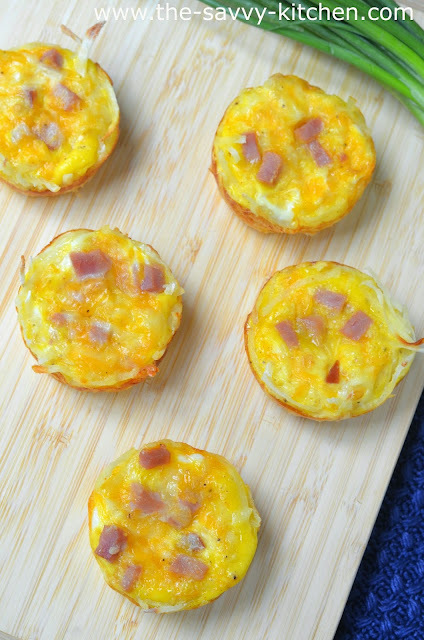 That's where these "adult version" ham, egg and cheese muffins come into play. They're basically the same thing, but a larger version and made with more "adult-friendly" ingredients, such as ham steak and hash browns (although, who am I kidding…Bradley loves those things, too). 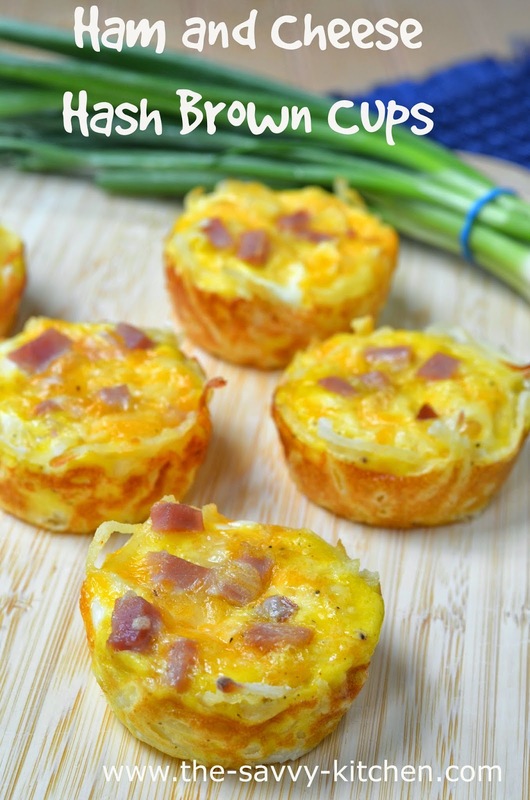 They are the perfect size breakfast treat for when you want a warm, satisfying breakfast in a hurry. You can keep them in the freezer and zap them for a minute before you run out the door. Also feel free to add in some vegetables (especially if the kids are eating these). Enjoy! Preheat the oven to 350 degrees F. Spray a muffin tin with non-stick cooking spray. In a small bowl, mix together the hash browns and flour. Spoon the hash browns evenly between the muffin wells. Use your fingers to press them onto the bottom and up the sides of the muffin wells to form a crust. In a medium bowl, whisk together the eggs and milk. Stir in the cheese, ham, salt and pepper. Pour the egg mixture evenly between the muffin wells. 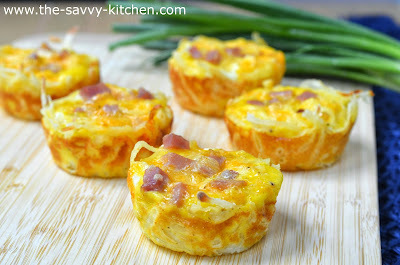 Bake for 18 to 20 minutes or until the eggs are set and cooked through. Store in the refrigerator for up to two days or in the freezer for up to two months. To defrost, cook in the microwave for 1 minute or until heated through.